Be prepared for anything with our MUT which features a titanium body and an easy to install or remove steel razor blade. 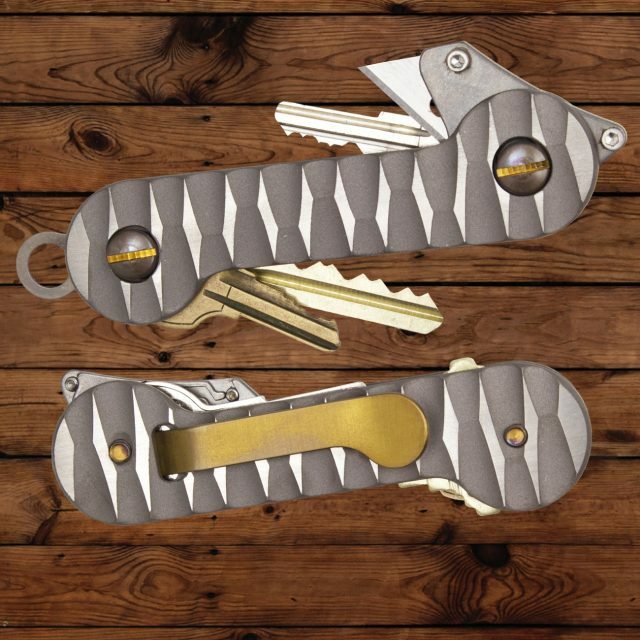 Includes spare blades which can be installed without disassembling your KeyBar. 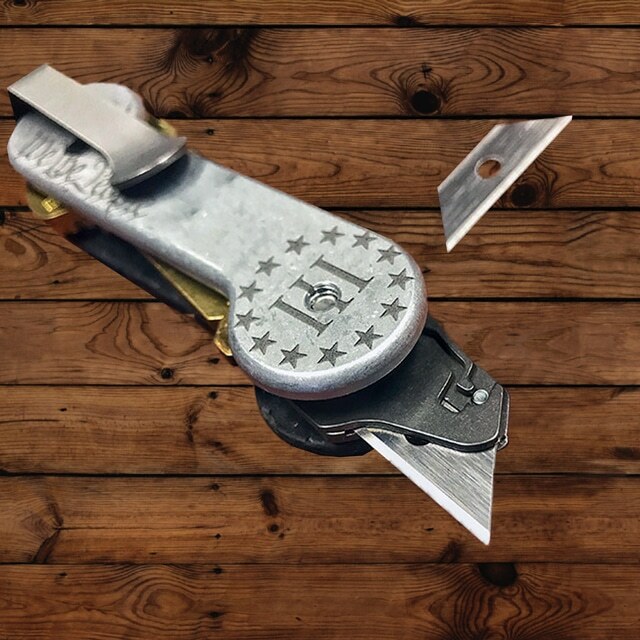 Utility tool with titanium body and steel blade. Tool includes ten replacement blades. Replacement mini utility blades are available at Harbor Freight. 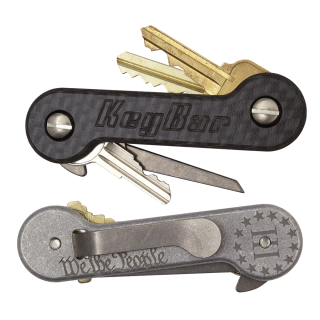 Blade can be removed without having to disassemble your KeyBar. First install a washer. 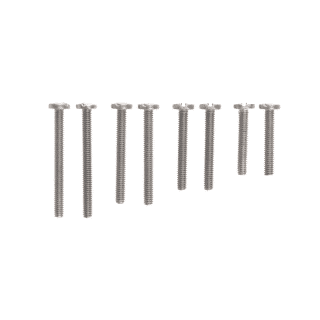 Then, take the thumb stud plate and install it with the screw heads down. Next, place the tension plate on top of the thumb stud plate. Finish assembling KeyBar. To install the blade, open the tension plate all the way to expose the pocket. Drop the razor blade into place, making sure it is flat in the pocket so that it is secure. Close tension plate. Mini Utility Tool Insert is ready for use. 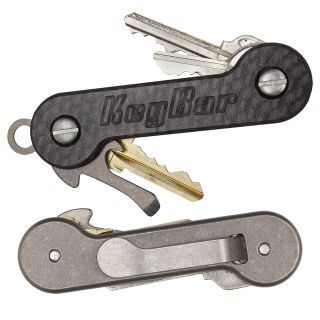 The KeyBar Mini Utility Tool Insert is intended for use with your KeyBar product. The Mini Utility Tool Insert is, of course, very sharp and could cause bodily injury if not handled carefully. 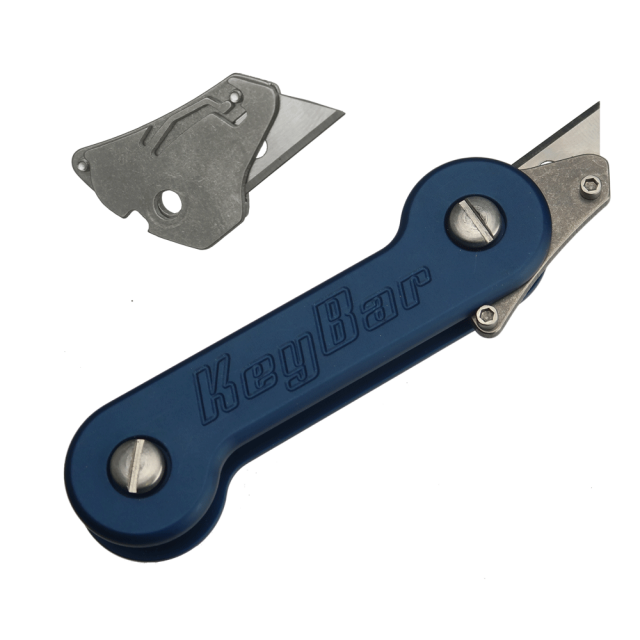 Users of the KeyBar Mini Utility Tool Insert should take special care to ensure that the blade insert itself is not left exposed when not in use, and that it is folded fully into the closed position. Never use the Mini Utility Tool Insert while otherwise occupied or distracted, such as when operating a motor vehicle. Users of the Mini Utility Tool Insert should also use extreme caution when using the Mini Utility Tool Insert, as there is the potential for bodily injury. 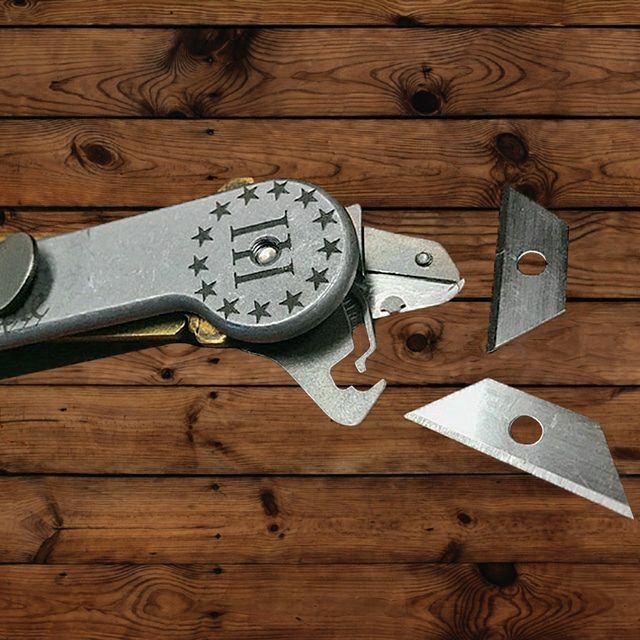 The Mini Utility Tool Insert is not a toy, and is likewise not intended to be used as a hunting, or similar knife, and will not withstand forces necessary to cut through thick or solid materials. 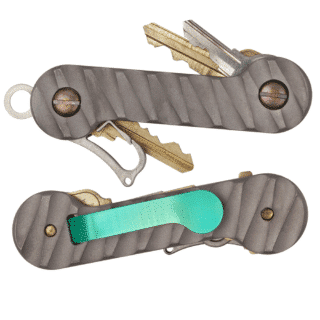 The Mini Utility Tool Insert is not a replacement for ordinary, or everyday knives, but is only intended for very light use. KeyBar, LLC is not responsible for any injury caused by misuse of the Mini Utility Tool Insert or negligence on the part of its owner or user. The knife works well. The flipper makes it easy to deploy and return. Good purchase! Awsome box cutter. Allows me to protect blade on my custom swiss army knife. My keybar with mini utility and bottle opener makes my everyday carry complete. I really love this tool, anyone know where i can purchase more blades when the time comes that i run out?